The Ashbrook – Be Wiser – Bridgestone Hawkstone International is fast approaching and fans will be treated to a full day of racing on Sunday the 17th February. It is expected several thousand people will descend on the incredible Hawkstone Park Circuit, SY4 4NA. It is set to be another amazing day if racing and with some of the best riders from around the world it will benefit the local tourist industry around the area and with the support from several local firms it confirms the event’s status and we hope to have a brilliant action-packed day. Tickets can be bought on the gate they are £30 for adults and children 5 – 15 £5, free parking and free entry to the riders paddock. The racing starts from 8.45am and will go on until around 4pm. 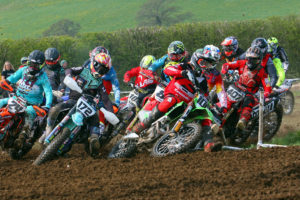 Hawkstone Park MX Circuit is centrally located in the UK, just off the A49 near to the villages of Hopton, Wem, Prees, Shawbury and Whitchurch.